MANILA, Philippines - A bonus equivalent to one month pay is scheduled to be given to government workers this June 2016, highlighting the need for the House and the Senate to break their impasse over a pay hike bill for state workers, Senate President Pro Tempore Ralph Recto said today. 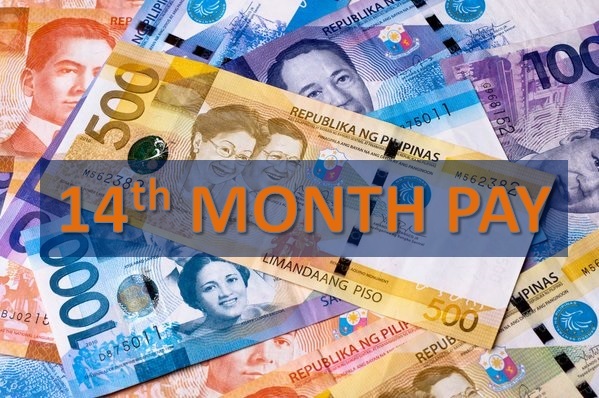 Recto said the proposed Salary Standardization Law IV for government workers provides for a 14th month pay to be given in the middle of the year. Under its section on "compensation system," the measure seeks the grant of a "a mid-year bonus equivalent to one month basic salary to be given not earlier than May of every year." "This mid-year bonus becomes the 14th month pay. The traditional 13th month pay being the year-end bonus," Recto said. "In the past, the 13th month pay was given in 'two gives.' Half in May or June, so that government employees will have money for the school enrolment of their children, and the balance in December. The SSL IV makes what is given mid-year and year-end equivalent to a full month pay each," Recto said. He said these two bonuses will be tax exempt for most state workers. By one estimate, both the 13th and 14th month bonuses of 970,943 employees - or 83% of total national government workforce - will be tax-exempt, Recto said. "There's research which shows that those in the Salary Grades (SG) 1 to 16 will get these bonuses tax-free," he said. "The mid-year bonus translates to an eight percent increase in the annual pay of government workers and, if early calculations are correct, they will be getting it without any tax deduction," Recto said. He added most employees holding SG 17 to 23 positions will also get their 13th month pay with no withholding tax. Recto is the principal author of Republic Act No. 10653 which adjusted the 13th-month pay and other benefits tax-exempt ceiling from P30,000 to P82,000. The SSL IV also retains the P5,000 Christmas cash gift for all government workers. In addition, the measure authorizes a "performance-based bonus" of up to two months salary which Recto said should be based "on conditions to be met, like meritorious service, exemplary performance and increase in productivity. While he admitted that the SSL IV has some weaknesses, "it, however, has many good provisions, like the 14th month pay." "This underscores the need for the House and the Senate to ratify SSL IV's final version, so it can be sent to the President for his signature, and so that payroll can be made," he said. At present, the SSL IV bill is caught in deadlock after the House and the Senate panels in the conference committee failed to resolve the issue on whether to include the pension of military retirees in the pay hike. The first tranche of the salary hike in SSL IV is supposed to be included in the January payroll of state workers. SSL IV spreads the pay adjustments over four years, with the first year costing P57.9 billion. Fully implemented, SSL IV will cost P225.8 billion a year.